Many projects have evaluated programmes and activities aimed at young people. Other work has been more exploratory, looking at the motivations and behaviours of young consumers. Product development and concept testing are additional areas of specialism. 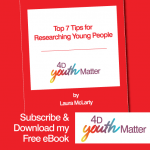 Clients have commented on 4D Youth Matter’s high quality and passionate approach to researching young people. 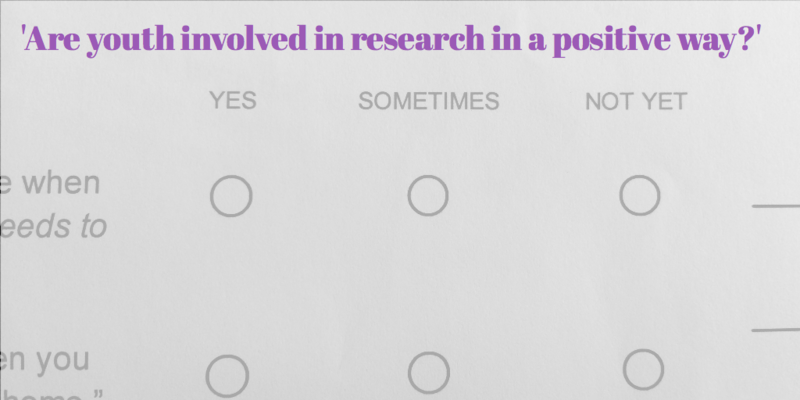 Please contact me for a non-obligation discussion about your research needs and I will be very happy to help. You can get in touch via the form, phone: 07545 129018 or email: l.mclarty@4dresearch.co.uk.